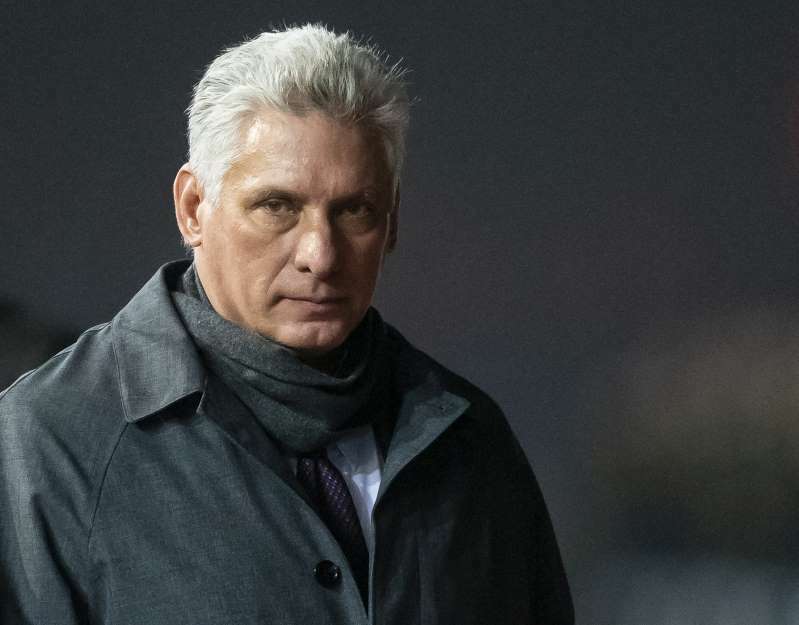 North Korean leader Kim Jong Un and Cuba's President Miguel Diaz-Canel — both hoping to get out from under U.S. economic sanctions — have agreed to expand and strengthen their strategic relations, North Korea's state media reported Monday. The meeting with Kim could be seen as a shot across the bow for Washington, which has run into increasing difficulty in its efforts to wrest significant progress from the North on the denuclearization issue. Over the weekend, Pyongyang used its official media to criticize the U.S. for its continued support of sanctions — a political tool Washington has also used extensively on Cuba and Russia — and hinted it may resume nuclear development if Washington doesn't change is tune. While in Moscow, Diaz-Canel discussed a nearly $50 million arms deal with Russia and won a similar vow of expanded political, economic and military ties from Putin. The two then issued a joint statement denouncing U.S. "interference into domestic affairs of sovereign nations." The U.S. economic embargo on Cuba, initially imposed in 1958 and subsequently expanded, has remained in place. Russia faced an array of crippling U.S. and EU sanctions over the annexation of Crimea and its support for separatist rebels in eastern Ukraine.